Back pain is something that can be incredibly debilitating, and it can take a long time to recover from. Back pain can be caused by a number of different things. Sometimes, the injury is due to a herniated or bulging disc, sometimes the disc is subluxated, and sometimes it is even slipped or displaced. In other cases, the pain is due to muscle spasms, rather than issues with the disc itself. In cases where the back pain is caused by a subluxated disc, a visit to a chiropractor such as RockyHillChiro.com can help. 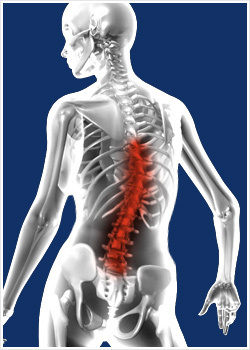 Chiropractors work with the spine and help to re-align slipped vertebrae. Not all back pain can be helped through chiropractic treatments, however. In some cases, back pain requires physical therapy, and in others the solution is rest while the body heals itself. Doctors do not, yet, fully understand the spine or how to manage back pain, and extensive clinical trials have proven inconclusive when it comes to working out why some people respond to certain therapies but not others. Back pain relief can require strong medications. This is problematic because the kind of painkillers that work well for that sort of pain can be ones that have unpleasant side-effects or are habit-forming. 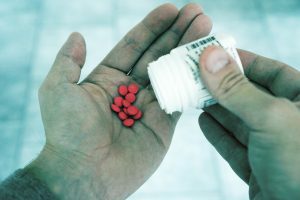 Rather than basic painkillers such as paracetamol or aspirin, people are encouraged to take things like ibuprofen, or paracetamol and codeine. These are good for reducing pain, but codeine can be habit-forming and ibuprofen can cause stomach problems for some people, with the risk of issues increasing with long term use. Often, the best way to get relief is to strap up your back and to try to lie or sit in a way that helps to offer a good posture. Do not slouch in front of the computer, and try not to carry heavy loads. 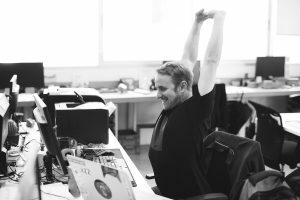 If you are forced to sit in an awkward position – perhaps because you drive long distances – try everything you can to adjust the position so that you are more comfortable, and you are able to keep a relatively upright and neutral posture. Use supports when you sleep, or try to get a firmer mattress. Take warm baths to relax the muscles in your back, and when you feel up to it try to do physiotherapy exercises to strengthen your core. If you need to carry things, use a good backpack with plenty of support straps instead of a messenger bag that puts stress on one particular area of the spine. If you carry shopping bags, split the load so you are carrying the same amount on each side. Back pain can take a long time to heal. Try to be patient, and don’t rush the healing process or try to over-do it when you start to feel better. Rehab is important, but staying fit and strong so that the back issue does not come back is important as well. That means exercising good posture at all times, and working to ensure that you are as strong as you can be. Athletes, in particular, will need to address their movement patterns, and make sure that they are not putting themselves at risk of overuse injuries. A good chiropractor, osteopath or sports therapist will be able to identify muscle imbalances or other issues that are causing pain or that might lead to issues in the future. Work with them to correct any issues they flag up, and hopefully your back pain will become a thing of the past, and you will enjoy free and easy movement in your sport and in day to day life. If You Need Back Pain Relief Get Help By Clicking Here!